» Weekly Normalized Difference Vegetation Index (NDVI) data from Roche Moutonnee, Toolik Field Station, Imnavait, and Sag river DOT sites, in the northern foothills of the Brooks Range, Alaska, summer 2010-2014. 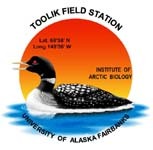 Datasets were collected in early May through the end of July in 2010 through 2014 at four field sites in the vicinity of the Arctic Long Term Ecological Research (LTER) site at Toolik Field Station in the northern foothills of the Brooks Range, Alaska (68º38’ N, 149º34’ W, elevation 760 m). Sites were chosen in May 2010 to represent the most common shrub tundra types in the foothills of the Brooks Range. The Toolik Lake Field Station (TLFS) and Sagavanirktok River-Department of Transportation camp (SDOT) sites were deglaciated ~65,000 yr BP, following the Itkillik I glaciation (Hamilton 2002). The Imnavait Creek (IMVT) site was deglaciated ~120,000 yr BP, following the Sagavanirktok River glaciation (Hamilton 2002). Each of the three sites included two 20,000 m2 plots: one graminoid dominated plot (Open plot) and one woody deciduous shrub dominated plot (Shrub plot). Together, the Open and Shrub plots represent a natural gradient of increasing shrub dominance, because the same deciduous shrubs (B. nana and S. pulchra) are found in all plots, however their percent cover and stature increase from low percent cover and short stature in Open plots to higher percent cover and taller stature in Shrub plots (Boelman et al. 2011, Rich et al. 2013). The Open plots at all three sites are similar to one another and are characterized by tussock- forming sedges interspersed with a variety of dwarf shrubs, forbs, and mosses, with maximum deciduous shrub heights of approximately 16 cm (IMVT), 23 cm (TLFS) and 28 cm (SDOT) (Rich et al. 2013). The three Shrub plots differ from one another and represent a gradient of shrub statures, with maximum deciduous shrub heights of approximately 22 cm (IMVT), 35 cm (TLFS) and 84 cm (SDOT) (Rich et al. 2013). Differences among Shrub plots are related to topography and water flow. The IMVT Shrub plot, which has the shortest shrubs of the three sites, is associated with water movement because it is located in an area with water tracks, and the site represents vegetation typical of water track tundra as described in Chapin et al. (1988). The TLFS Shrub plot, which has medium stature shrubs, is located at the outlet of Toolik Lake, where proximity to a large body of water, substrate conditions, and the presence of large rocks may promote root lengthening and shrub growth. The TLFS Shrub plot represents vegetation typical of shrub tundra described in Shaver &amp;amp;amp;amp;amp;amp;amp;amp;amp;amp;amp;amp;amp;amp;amp;amp;amp; Chapin (1991). The SDOT Shrub plot, which has tall and structurally complex shrubs, is a riparian community (Rich et al. 2013). The Shrub plot at SDOT has the deepest thaw depths among all of our plots and represents vegetation typical of riverside shrub tundra as described in Giblin et al. (1991), which tend to have deeper thaw depths compared to other tundra vegetation communities (Shaver &amp;amp;amp;amp;amp;amp;amp;amp;amp;amp;amp;amp;amp;amp;amp; Chapin 1991). The Roche Mountonnee site (ROMO) has not been described in a publication yet, but the Shrub plot is vegetated by tall (&gt; 100 cm) riparian shrubs, primarily Salix alaxensis, with scattered forbs, and has dry, rocky soils. The Open plot at ROMO is similar to the Open plots described above. In May 2010, two 100 m transects were established within each Open and Shrub plot, for a total of 12 transects (n = 6 Open; and n = 6 Shrub). For non-destructive vegetation sampling over multiple years, ten quadrats (1 m2) were established at 10 m intervals along each transect (ten quadrats per transect). Quadrat-level spectral radiance measurements were made with a field portable spectroradiometer (FieldSpec3, Analytical Spectral Devices, Boulder, CO, USA) throughout the growing seasons of 2010. The spectroradiometer has a 25◦ full angle cone of acceptance field-of-view (FOV) fibre optic with a spectral range of from 350 to 1050 nm. The spectral sampling interval of the spectroradiometer is 1.4 nm. Radiance measurements were preceded by a calibration scan of a 99% reflectance white standard (Spectralon, LabSphere, North Sutton, NH, USA) to normalize for changes in light conditions between measurements. The foreoptic was held approximately 1 m above the top of the canopy, so that each measurement’s circular footprint was approximately 0.15 m2. Spectral measurements were made in the 1 m2 quadrats along each of the plots described above. Five measurements were collected within each 1 m2 quadrat in order to ensure that the spatial heterogeneity of each quadrat was captured, which resulted in 50 spectra for each transect. All spectral measurements were converted to reflectance values, and were interpolated to 1 nm intervals. We employ the normalized difference vegetation index (NDVI); NDVI was calculated from visible red (R: 650 to 690 nm) and near-infrared (NIR: 750 to 850 nm) reflectance using the equation: NDVI = (NIR – R) / (NIR + R). The five NDVI values associated with each quadrat were averaged to give a mean quadrat NDVI value. These were then averaged for the 2 transects in each plot (Open and Shrub), for a represntative index for each cover type at each site (n = 4 Open; n = 4 Shrub). Boelman, N.B., Gough, L., McLaren, J.R., and Greaves, H., 2011: Does NDVI reflect variation in the structural attributes associated with increasing shrub dominance in arctic tundra? Environmental Research Letters, 6: 035501. Chapin, F.S. III, Fetcher, N., Kielland, K., Everett, K.R., and Linkins, A.E., 1988: Productivity and nutrient cycling of Alaskan tundra: enhancement by flowing soil water. Ecology, 69: 693-702. Giblin, A.E., Nadelhoffer, G.R., Shaver, G.R., Laundre, J.A., and McKerrow, A.J., 1991: Biogeochemical diversity along riverside toposequence in arctic Alaska. Ecological Monographs. 61: 415-435. Hamilton, T.D., 2002: Glacial geology of Toolik Lake and the Upper Kuparuk River regions. Biological Papers of the University of Alaska. Walker, D.A. (Ed.). Fairbanks, AK: Institute of Arctic Biology, 1-25. Rich, M.E., Gough, L., and Boelman, N.T., 2013: Arctic arthropod assemblages in habitat of differing shrub dominance. Ecography, 36: 1-10. Shaver, G.R., and Chapin, F.S. III., 1991: Production: biomass relationships and element cycling in contrasting arctic vegetation types. Ecological Monographs, 61: 1-31.